Volume One of the F-Day thriller series is out now. Counting down the extraordinary last days of humanity’s evolution beyond money. Experience the extraordinary last days and countdown to humanity’s evolution beyond money. How one man’s refusal to bow to the system becomes the catalyst for a global metamorphosis. F-Day is a high octane political thriller loaded with a powerful message – infused with a heady dose of realism. Prepare to have your world view blurred as you sit in the passenger seat of what could some day become mankind’s greatest single journey – away from the oppressive control systems of yesteryear, into an enticing future of infinite possibilities. 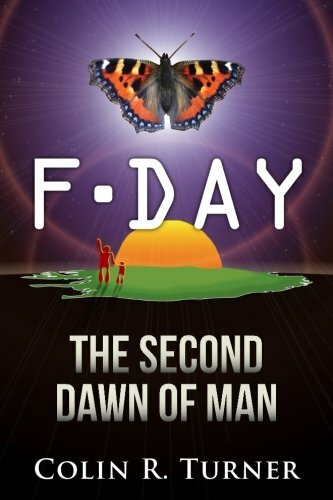 A David and Goliath tale of truly epic proportions, F-Day: The Second Dawn Of Man challenges some of our deepest preconceptions of the world today.